Funds like the one linked to Alibaba attracted less cash in the second quarter, after sucking in $105 bln in the previous three months. Falling interbank rates help explain the slowdown. But as long as bank deposit rates are capped China’s savers will seek out alternatives. 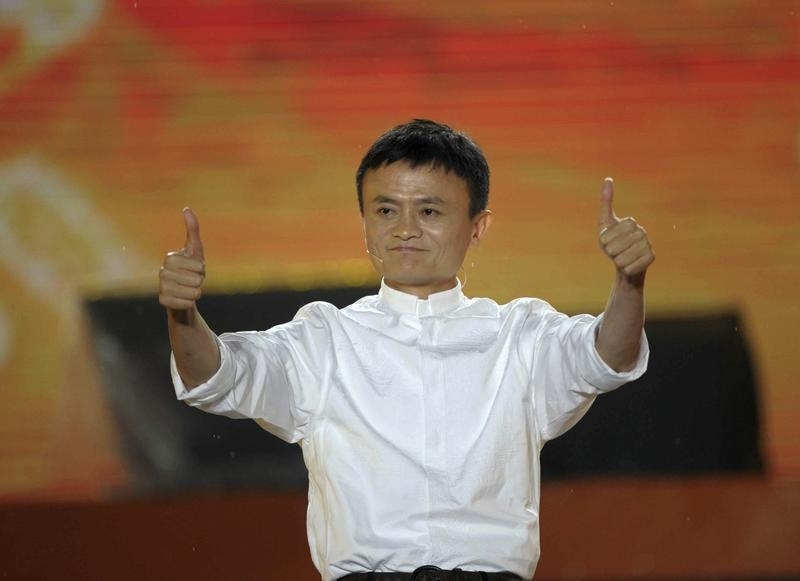 Alibaba founder Jack Ma gestures during a celebration of the 10th anniversary of Taobao Marketplace, China's largest consumer-focused e-commerce website, in Hangzhou, May 10, 2013. China’s largest money market fund by assets, Zeng Libao, had 574.1 billion yuan ($92.5 billion) in assets under management and over 100 million users as of the end of June. This represents an increase of 33.1 billion yuan in assets under management from the end of March. Zeng Libao is the main fund distributed by online platform Yu’e Bao, which is operated by Alipay, the payments arm of Chinese e-commerce giant Alibaba. The platform, which launched in June 2013, allows Alipay users to invest surplus balances into money market funds managed by Tianhong Asset Management, an investment company in which Alipay’s parent company owns a 51 percent stake. Zeng Libao attracted 355.7 billion yuan in assets in the three months to March, while offering annualized yields as high as 6.7 percent. Yields had dropped to 4.17 percent as of July 13. Interest rates on bank demand deposits are capped by law at 0.35 percent, while one-year time deposit rates are capped at 3.3 percent. Money market funds in China had 1.7 trillion yuan in assets under management as of the end of June, according to Credit Suisse estimates. China’s personal deposits totaled 48.9 trillion yuan as of May this year.